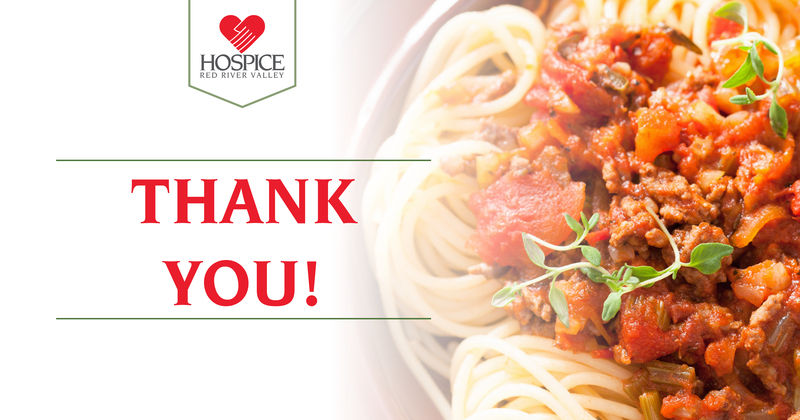 Redeemer Lutheran Church’s annual spaghetti benefit recently raised $1,373 for Hospice of the Red River Valley. The event, held Oct. 2 in Thief River Falls, was the 27th annual dinner. We are so grateful for the generosity and continued support!